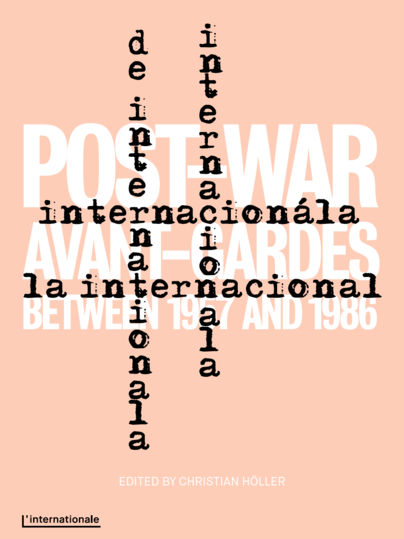 “L’Internationale is a trans-institutional network of five major European museums and artists’ archives (Moderna galerija Ljubljana; Július Koller Society Bratislava/Vienna, MACBA Barcelona, Van Abbemuseum Eindhoven, M HKA Antwerp). With essays by Inke Arns, Zdenka Badovinac, Bart de Baere, Charles Esche, Daniel Grúň, Christian Höller, Bartomeu Mari, Viktor Misiano, Piotr Piotrowski, Georg Schöllhammer, Steven ten Thije, and others. Review: Natalia Smolianskaïa (Critique d’art, 2013).